shande © 2013. Powered by Blogger. What was different in 2018 ? Wild Card Entry at Tirumala: Visiting Tirupathi and getting darshan of Lord Venkateshwara needs a lot of meticulous planning. I also did the same almost and was planning for darshan with my less than 1-year old infant, confirming whether they have restrictions like Dharmasthala. In contrast, Tirumala has something called Supadha entrance for people with special privileges and one of them is for parents with less than 1-year old infant. 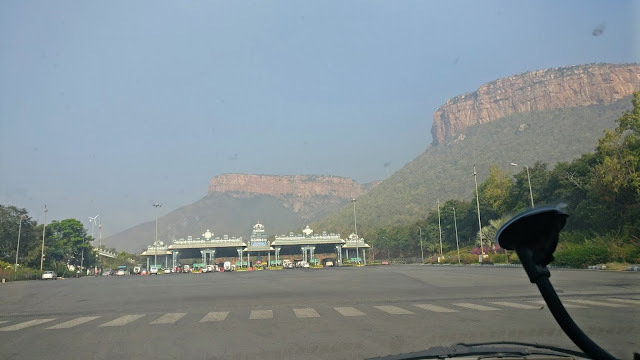 So, without much plan and a little bit of research (thanks to GoTirupathi website) we landed up in Tirumala and had darshan of Lord Venkateshwara with a waiting period of 1 hour or so. More about this experience in a separate post. 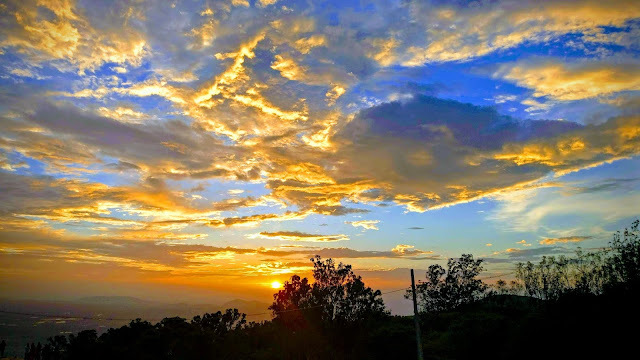 Sun touching Shivalinga at Gavi Gangadhareshwara temple: Staying so close to the famous Gavigandhareshwara temple for last 20+ years, I could never witness the rare event of sun rays touching Shivalinga on Sankranti evening marking the entry into Uttarayana. But this year, I managed to break this jinx and credit mainly goes one beautiful article in livemint which was wired in my brain to provide a timely reminder. 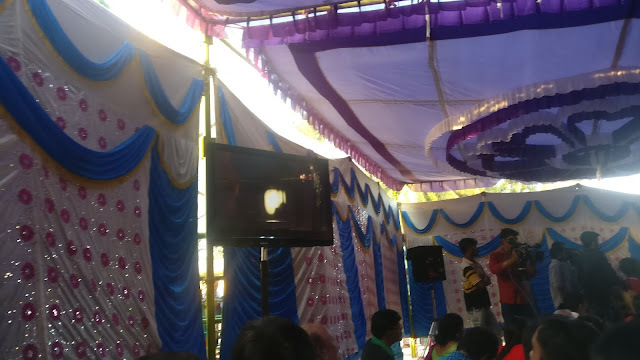 Actually, the common people are not allowed inside the temple due to space constraints and the proceedings are beamed live on a large screen at the shamiyanas outside the temple. Initially, we (me & Ananth Shayan) were a bit dejected for not being inside the temple, but being at a venue with a large crowd and listening live narration from the head priest made the event more memorable. 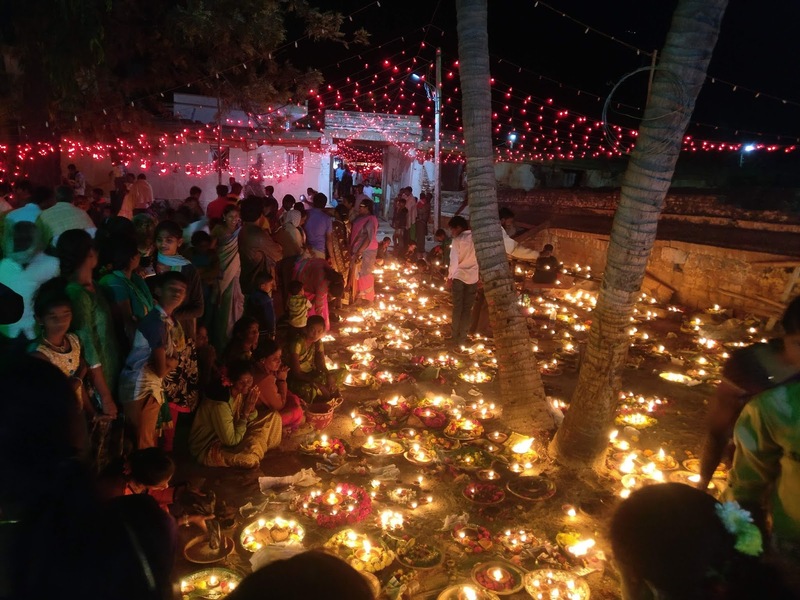 Concluding proceedings of Bangalore Karaga: I have managed to see initial proceedings of the famous Bangalore Karaga festival and also visit to the Dargah along with other temples in pete area. But witnessing the return of the Karaga to back to Dharamarayaswamy temple in early morning hours didn't materialize for long due to personal commitments, business travel etc. Before start of 2018, by I had earmarked dates of the festival in my calendar as it was falling on a weekend (Saturday night to Sunday morning). Apart from this, it was a long wait on the day of the festival as well. Due to last minute change in the Karaga bearer, the Karagashakti came out of the temple 3 hours late and the final proceedings at the temple were also delayed. Thanks to my friend Anantha Shayan for accompanying me to witness this festival yet again. 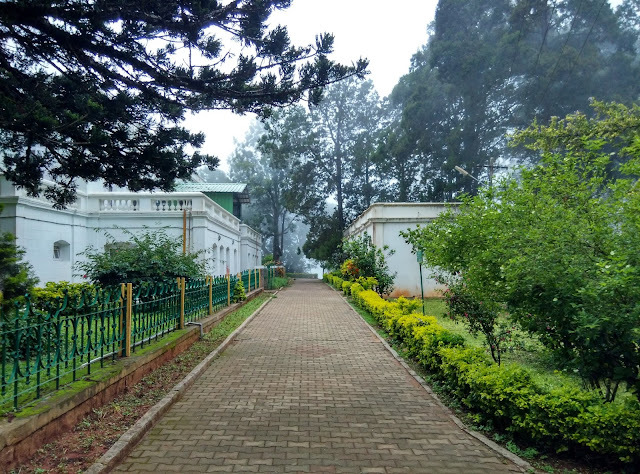 Staying overnight at Nandi Hills: I am sure most Bangaloreans would have been to Nandi Hills multiple times in their lifetime but not stayed there overnight due to limited availability of accommodation. There has been only one option i.e. KSTDC MayuranPine which had only 3 rooms and it's been tough getting a room there on weekends. Recently, they have brought booking of Gandhi Nilaya room on the same platform for increasing capacity. 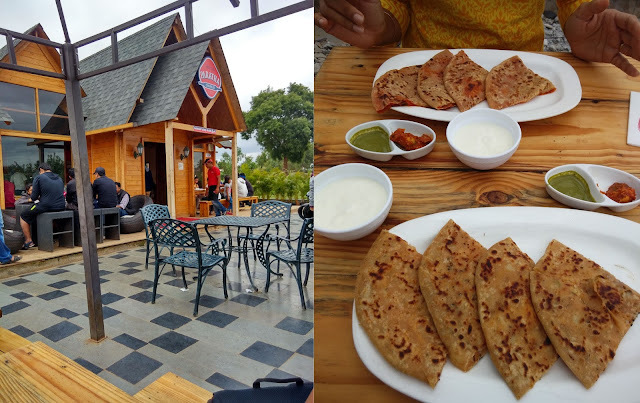 Earlier this year, when I took off for a day for my son's birthday this place turned out to be our obvious choice for having a unique getaway and being very far from the city. More about this experience in a separate post. Witnessing Deepothsava at Bhogonandeeshwara Temple: In last decade this famous temple next to Nandi Hills has become a must-visit destination if you are traveling around Nandi Area. Also, the location is quite famous for pre-wedding shoots and nowadays for kinda limited audience destination wedding near Bengaluru. And not many know that there is famous Deepothsava which happens here on last Monday of Karthika month. As it always falls on a weekday this event doesn't appear in calendars of many netizens of the city and also it clashes with famous Kadlekai Parischey festival in Basavanagudi. However, this time I managed to visit this along with my colleagues and actually, during peak hours the place was just 50 mins drive from our office Manyata Tech Park. 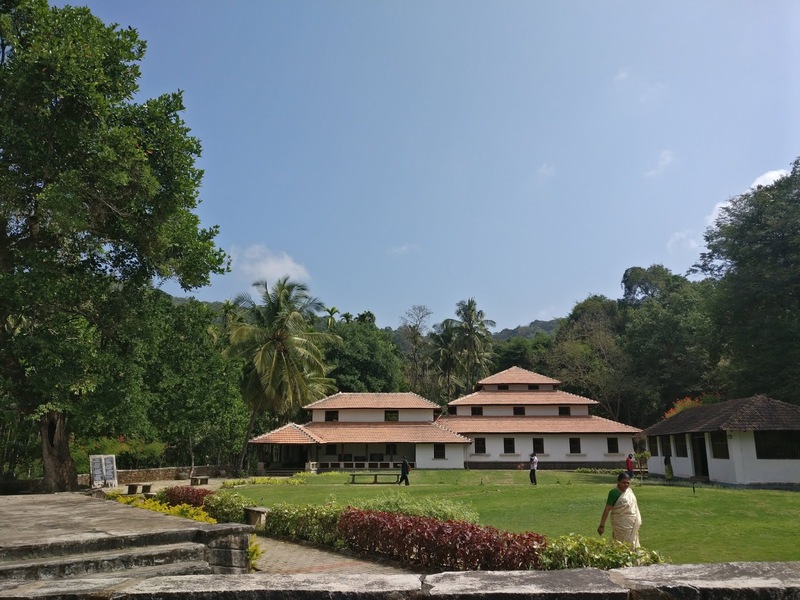 Kuvempu's home at Kuppalli: Visting famous Kannada's poet home at Kuppali in Thirthalli taluk was in my bucket list for a long time. The place is only 17 kms from my hometown and I could not manage to be there being so close! Finally, when I had been Hariharpura to witness Deepothsava on Saturday, I ensured to leave a couple of hours early while driving back to Bangalore for having a stopover at Kuppalli. Managing without a Facebook app on mobile: Once upon a time, Facebook used to be a handy app on mobiles esp. 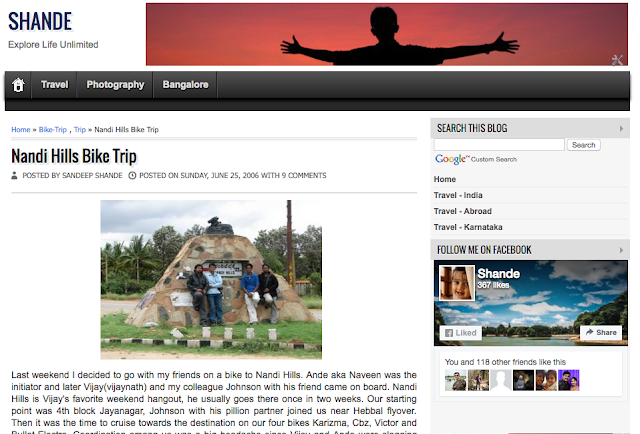 when I used to manage activities at Bangalore Photowalk. But in recent times the amount of noise to signal has increased multi-fold and browsing Facebook on mobile was mainly unproductive. It was so sub-consciously addictive that I was not able to avoid it. But the decisive step was taken when I did a factory reset on my smartphone due to some issue with an upgrade of software. Later, while re-installing all necessary, apps I thought of how about managing without facebook app for a couple of days. Now, it's been a couple of months and I am alive without the Facebook app on mobile. For any FB requirement, I occasionally login thru browser on laptop/mobile. And for any photo sharing and updates, Instagram is sufficient anyday! Traveling to and fro to office without a motorized vehicle: Cycling to-n-fro to office has been in my to-do list for a long time but due to fear of traffic, cycling in the night time, weather conditions made this act postponed indefinitely. In fact, I made an attempt for this in Dec 2015, but I could complete the loop in a day as I was too tired and later after 2 days I had a horrible experience in pollution, traffic while making return journey after 2 days. This year, the decisive decision taken when I got stuck in a cab at Hebbal Flyover for an hour around 12 noon due useless white topping work at outer ring road. The jam was so much that after passing thru the bottleneck Google maps sent me a notification for rating my visit Hebbal BMTC depot! Anyways, post this day I have done multiple trips (once a week) to the office on a cycle and experience has been rejuvenating. And major credit should go Lumos cycling bagpack which brings in all confidence for cycling in the night time. More about this bag in a separate blog post. No visit to a cinema hall: Courtesy Amazon Prime and other video-on-demand sites I didn't have the need to visit a cinema hall. And also with an infant at home, it would be difficult to be at a hall just for experience purpose. And lastly, not writing even a single blog post - well, it was almost there and I managed not to have this in the above list by composing this post to summarize different things which happened in 2018. Happy new year to everyone ! Looking forward for having much more eventful 2019! It's been a hibernation for more than a year, with other priorities in life, blogging went into back burner for a long time. I was deliberating on the post to rekindle to saga of blogging to some extent, and ended up chosing this topic which has made an impact on most of the people in the city for last one year. 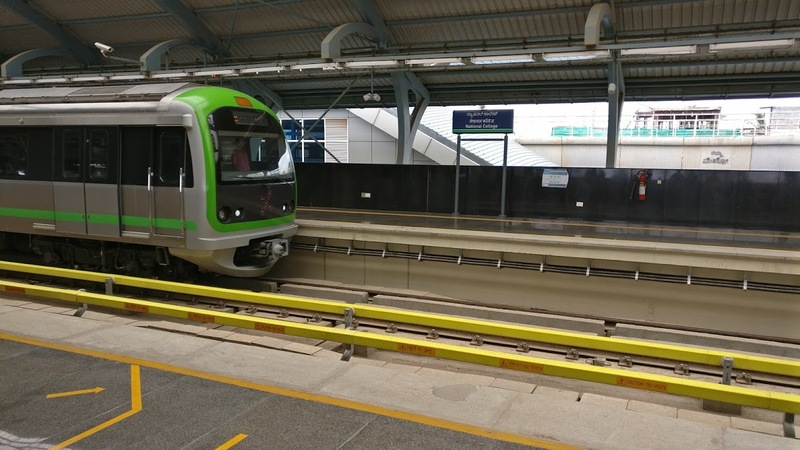 Public transport has been one of my favourite topics which is evident from my previous post on BMTC, Suburban Rail in Bengaluru and also on Sustainable Transport. 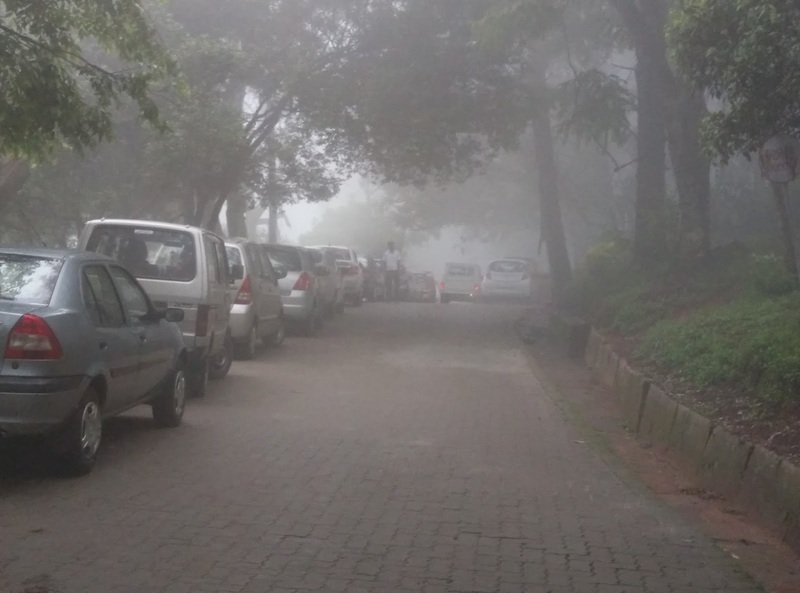 The city of Bengaluru has finally has the axis of traversing. In yesteryears, there used to a word of wisdom for a new comer in the city "when you get lost in the city take a bus to Majestic from the nearest bus stop and you will reach your destination conveniently". 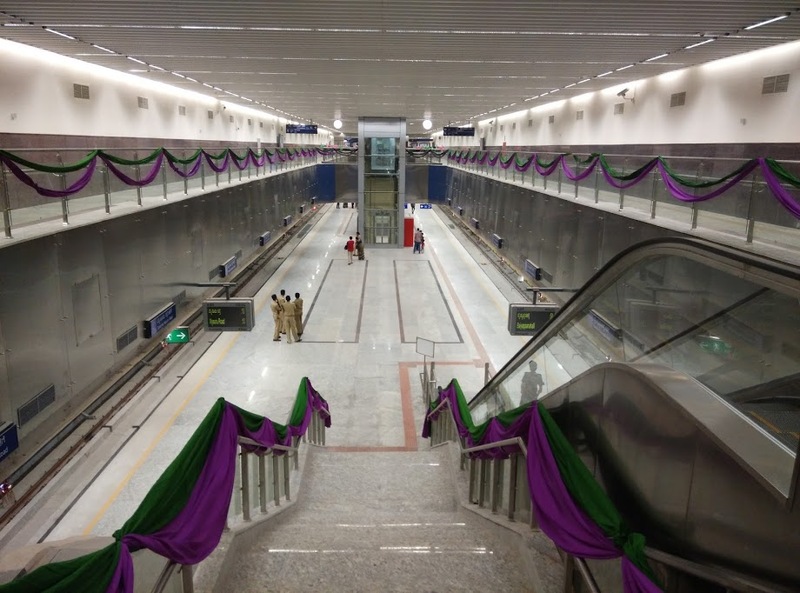 With the completion of Phase-1 of Namma Metro in June 2017, there is definitely a paradigm shift. And the word of wisdom no longer valid and the new one would be "get to the nearest metro station to reach your destination". In Phase-1, the southern part was last to get completed. Somehow it's been a jinx with this part of city which doesn't even have a railway station and suburban train options. Unlike other locations. Baiyappahalli, Yeswantpur, Nayadahalli have seen chiku buku in their neighborhood for ages. The development as expected nothing short of controversy. The route from South End Circle to 9th Block faced lot of protest as it would destroy lush green cover through Lakshman Rao Park on Jayanagar 4th Main. There were many campaigns to take the route underground preserving the unique green cover. But the metro authorities ensured that loss of trees in only negligible which is evident in the below photograph! I had grand plans of traveling all four terminating stations on the weekend of inauguration of fully completed Phase-1. On the inaugural day (June 17th) the metro was not open to public and next day ended spending my entire day in hospital and labor room welcoming the new member in our family. The delivery happened two weeks in advance and all my plans went for a toss with other priorities :) This will definitely be an amusing tale for my little one when he has mind of his own. My first ride from South Bengaluru happened on day of the discharge of my little one when I took the metro from National College (nearest station from my home) to Soap Factory (nearest station to hospital). I was very excited to see the things getting materialized, especially after witnessing the construction of National College Station from the time of installation of sign board in 2004 saying "Proposed Site of the Station" and experiencing in numerous traffic snarls due to the diversion of traffic during construction. The next weekend I managed to have a joy ride with Photography buddy Ananth Shayan. We took the metro from Mantri Square and landed up in KR Market. In search of our favorite hangout Anand Vihar for breakfast which has shifted by giving way its original space to KR Market station, we ended up going to Tippu's armoury. The is place which is in a neglected state in contrast to one near Srirangapatna which was in limelight recently for being shifted by some foreign experts to make way of doubling from railway line from Bengaluru to Mysuru. 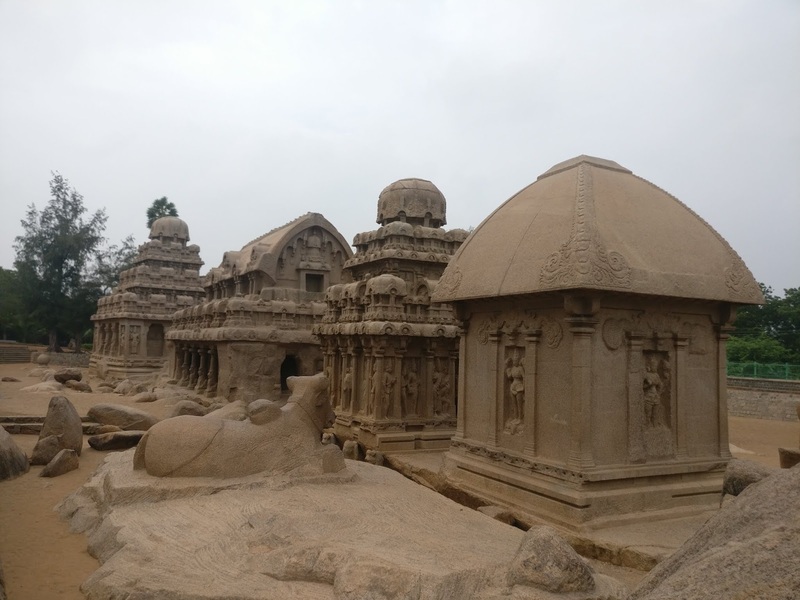 After our small sighseeing and breakfast, the return back to Malleswaram was an arduous task. Almost all the trains from Yelchenanahalli towards Malleswaram were fully packed with first time riders from South Bangalore. After making attempts 2-3 times, we took the metro in opposite direction and boarded our train to Malleswaram from the point of origin. The typical 'best practice' which has been frequently followed by commuters in Mumbai Local when they take the local towards Churchgate, CST as it is impossible to board the train at intermediate stations. Effortless Saturday ride: Traveling from my home (Basavanagudi) to my in-laws' place (Kumara Park) have been nightmare especially on Saturday evening, when the folks who don't take out their cars on weekdays, will end up being on the road for the weekend shopping. With the advent of the metro, the nightmare has been annulled as I can bypass all jams and travel from National College to Matri Square in 9 mins flat with additional 2*(10-15) mins walk for first and last mile connectivity! 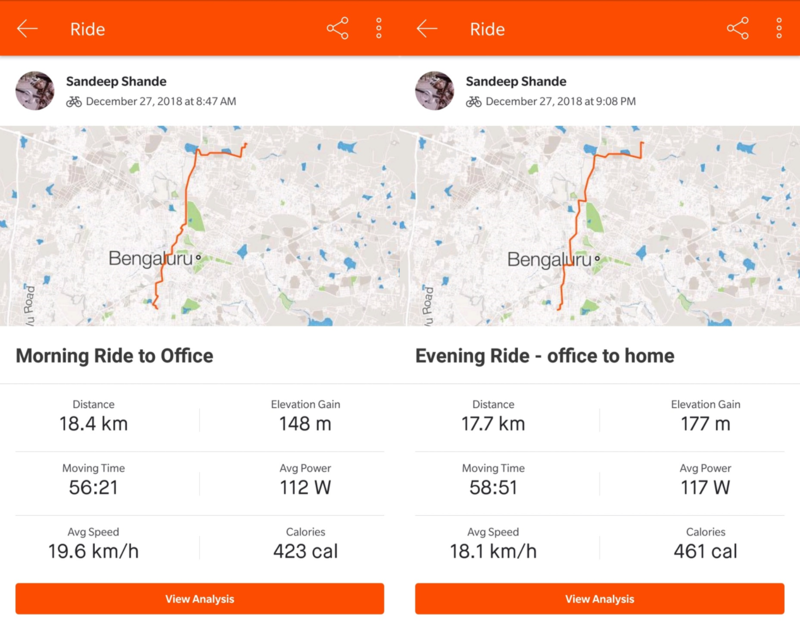 Ola Auto for first-mile connectivity: I have opted from Ola Auto whenever I am supposed to reach time my destination on/before time. Getting the auto to the doorstep and finish the first-mile commute without any bargaining and cash payment business has been a fair option. The perennial problem of auto guys not coming for shorter rides has been solved effectively with this option. Personal work in MG Road: One day I had to be in MG Road on a weekday for small personal work. With metro + ola auto option I managed to reach my destination in less than 25 minutes without hassles of waiting for a cab, surge pricing etc. Feeder service from BMTC: The feeder service has been a big disappointment especially with respect to choice of routes and stops. For e.g. if I want to opt for feeder service from my home National college metro, I end-up more walking than actually the traveling in the bus. Not sure why BMTC is behind BMRCL for compensating them for the service which doesn't serve majority of metro users. Only silver lining are the cute small orange bus (Samparka service), which has been effectively designed with low floor boarding, space for standing/sitting etc. Mushrooming of high rise: All major players in Bengaluru real estate market are trying to encash with metro providing faster mode of connectivity. Over last couple of years, the Guidance Value and FAR Ratio have been increased at the location around existing or upcoming metro stations. Also, majority of the projects have been opportunistic, like the ugly 25+ high rise next to Mantri Mall and Station with a price tag 3.5 crore+. Not sure if the people who can afford homes with such a price tag would really opt for travel by metro ? With phase-1 just completed, we will still have a long way to go before metro connects all key locations in the city. May be we will see light at end of the tunnel when majority of people of my generation are close to retirement ! :) I will be periodically refreshing this post with latest experiences and updates. How has been your experience with metro so far ? Feel free to comment below for your stories. While reading about the debate/discussions about proposed SteelFlyover in Bangalore from Chalukya Hotel to Hebbal, I stumbled upon an article in NewsMinute - How Bangalore went from cosy town to an urban nightmare. The article which was actually an excerpt from the book Askew: A Short Biography of Bangalore by T. J. S. George concluded with following the lines. It used to be a city in peace with itself. It was now a bundle of contradictions, a battleground of competing constituencies, where going forward resembles going backward. The lines struck the right chord in my mind was very relevant to the ongoing discussions. Without any second thoughts and I bought the kindle version of the book well before the official launch of the hardcover version. The biography weaves multiple amusing stories which have made unique value-system of the city and also led to the deterioration of the same. It discusses city's history, personalities, culture, novel enterprises, IT boom and many more things. The author expresses concern about the new type of virtual plague which is close to inevitable and primarily happening due to the greed of elected representatives and bureaucrats. Bangalore is following the same pattern of development as other deteriorated cities - which is build and enjoy, overbuild and suffer, collapse and complain, and then become argumentative of what happened. The city made its mark on the word map thru IT revolution and it changed the name of city from a noun to a verb. This overnight transformation coupled with myopic policies of elected representatives has made the city unbearable. In contrast, Silicon Valley and Boston didn't lose its charm while adopting modern enterprises. The builders of the city in yesteryears were selfless to the core. Lakshman Rao who had architected Jayanagar, died in 2005 without owning a house or site in Bengaluru. The cost per sqft was only one rupee when the best neighborhood in Asia was laid out in 1948. Just imagine how much assets he could have made just by hoarding parcels of land created by him ? There used to be an orderly development of thru live-where-you-work principle followed by PSUs. IT tore this system apart by building fancy ivory towers without giving a thought on living and commuting needs of employees. Within the boundaries of tradition there's a scope for innovation and enterprise - this has been beautifully narrated thru the story South Indian restaurants (i.e. MTR, Vidhyarthi Bhavan etc) set-up by Udupi Brahmins. 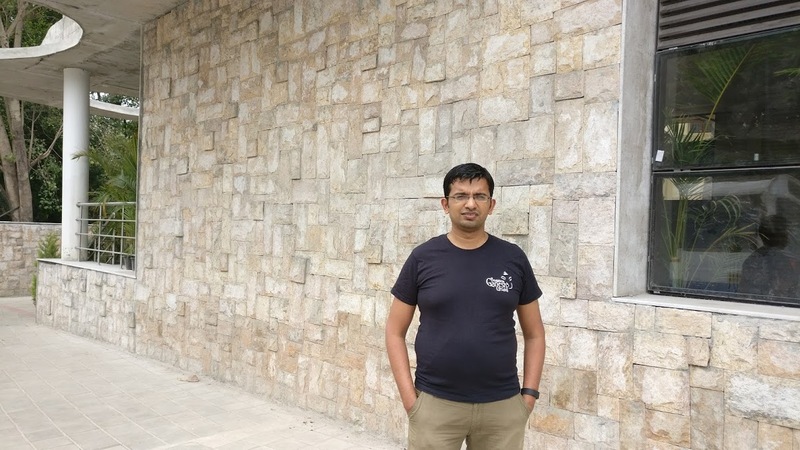 Amusing story of R Prabhakar, a consumer activist and guide/mentor behind the Darshini model low-brow eat-outs starting from Cafe Darshinis to latest being Bye-two coffee set-up by Raghvendra Padukone. There's a big question mark on the scope for fresh enterprises in the city. The heirs of billionaires Rohan Murthy, Siddharth Mallya have managed find their green pasture elsewhere. There are more such interesting things which make the book an engrossing read ! Do order your copy at Amazon. A decade to Cherish ! It's been exactly 10 years since I have been sharing my experiences and thoughts on this platform. The journey has been amusing with a lot of things happening in life w.r.t. personal and professional front and not to mention about endeavours related to travel and photography ! For last one month, I was contemplating on how to celebrate this accomplishment. Many thoughts ran through. Whether I should post cliched a blog-post with a birthday cake or post some statistics or do some retrospect. In the process, while going through my old archives I just had a glance at my very first post which was about a trip to Nandi Hills. 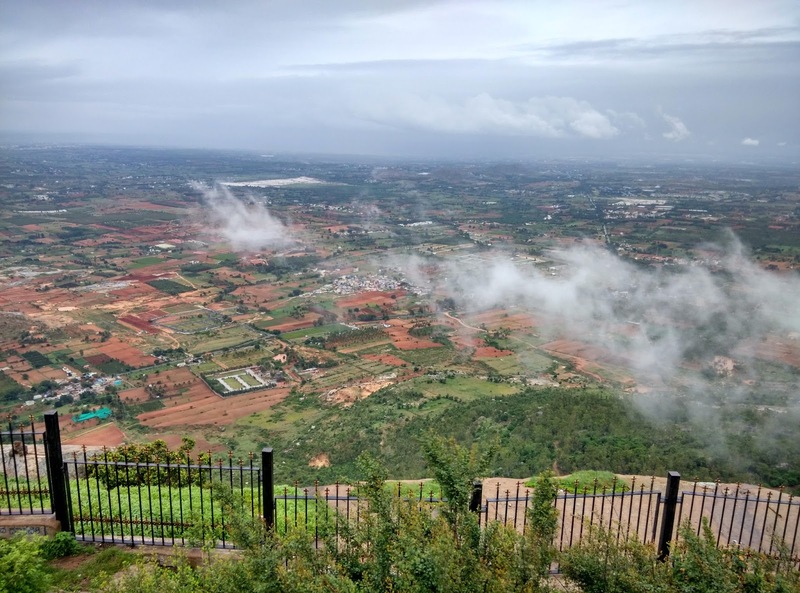 Then an idea struck - why not visit Nandi Hills to celebrate the moment and also it would be good to share by comparing and contrasting the experience of visiting the same place 10 years back. 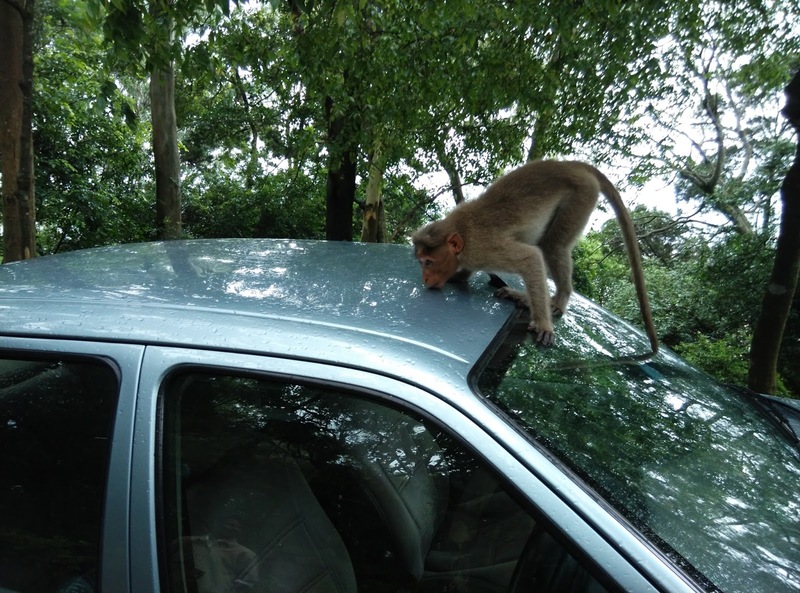 The routes to Nandi Hills from Bangalore has changed drastically. In 2006, there wasn't an elevated expressway or expressways. The main reason can be attributed to the development of Bengaluru International Airport at Devanahalli. I guess in 2006, the construction of the airport was still in progress we hardly knew Bangalore beyond Hebbal flyover. With the shifting in epi-center of the city, it was disheartening to see multiple high rises around Hebbal flyover. In 2006, there were only two promiment structure around the flyover: One was Godrej apartment and other was 'clone of petronas tower' at a fair distance. Now the every inch of available land has been constructed or under constructed. There were no decent restaurants enroute to the destination. In 2006, we had breakfast at a hotel next to Devanahalli bus-stand and only other decent option was Mayura pine-top at the Nandi Hills. Now there are 'n' options to choose. There are several developments atop Nandi Hills as well, the sky decks at various corners of Nandi Hills is one of the significant addition. The comparisons continued flashing back to memories of the trip 10 years back and to the real time experiences. More about my latest trip in my next post.